As part of site preparation, a program to delineate high grade and bulk tonnage zones (4weeks) to clearly dimension the secondary deposit which facilitates the set-up of near to medium term open pit systems. Based on the processing capacity of the KUMHO wash plant (400tph) and an average of 2 x 8-hour shifts per day, 24 days per month, 0.5g/t grade at full production and an all-in cash cost of $530 per ounce. Phase 1: Complete Induced Polarization (IP) geophysics and groundwork to delineate significant targets. Phase 2: Advance a 5000 Metre drill campaign of targets with corresponding IP and geochemical signatures. Phase 3: Review assay data from drilling and complete follow up work and modelling. 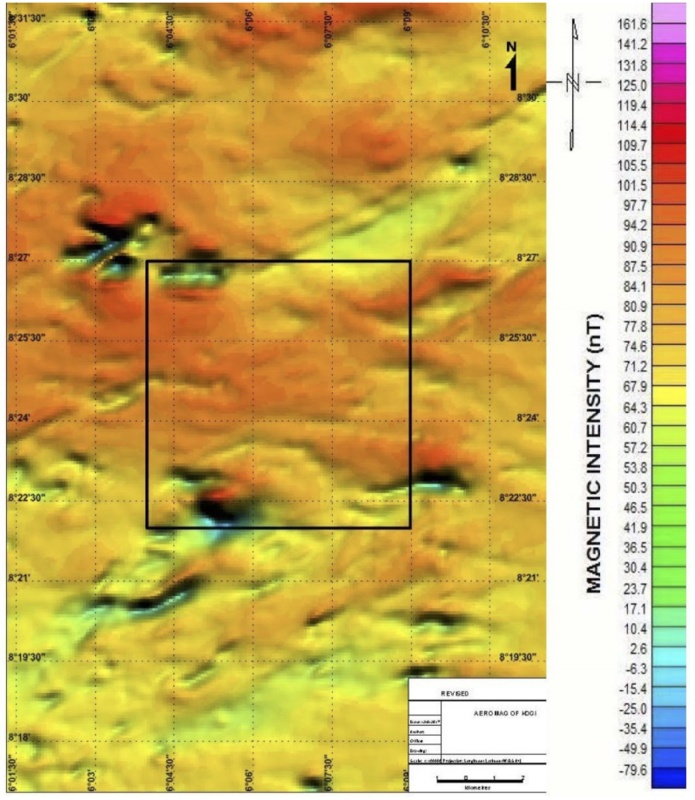 Phase 4: If continuity of mineralization and grades are well established in the initial drilling program and there appear to be potential extensions to the on- strike mineralization, either along strike or down dip, then there will be another 5000-metre drilling campaign for infill diamond drilling.